Water is one of the most essential requirements for life. You body needs several glasses of drinking water a day, and you also use water for cooking, cleaning, and laundry. But if your tap water comes from underground sources or travels through an extensive network of pipes, it may not be as clean as it appears. 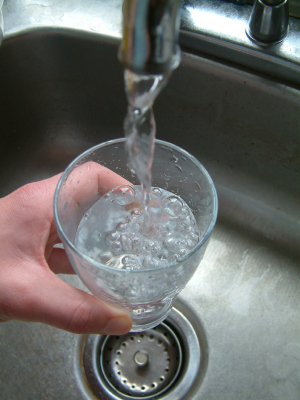 Studies show there can be over 2000 different kinds of contaminants in a normal glass of tap water! Buying bottled water can be expensive, and the energy and materials required to process, ship, and store the water can be bad for the environment. Bottled waters may also lack many of the vitamins and minerals added into tap water that are necessary for your health. The best way to drink purified water is by purifying it in your own home, straight out of the tap. With the right water purification system, you can save money while still ensuring that you and your family have as much safe, healthy water as you need. Buying a water purifier, however, can be a confusing an overwhelming process. There are so many models to chose from, each offering different features and different size tanks. With something as important as your drinking water, you should be sure that you choose the right model for your family and get the most for your money. If you want a quality purifier without paying an extremely high price, consider a Kenstar purifier. Kenstar water purifiers are a great example of a quality middle-of-the-road model. They are relatively inexpensive units, costing about Rs 5,000, in a market where purifiers can range from Rs 1,800 to Rs 45,000. They offer a range of great features, however, with a reputation for quality manufacturing. Kenstar is not to be confused with the company Kent, who manufacturers Kent RO water purifiers. Kenstar is the name of a brand covering a wide range of home appliances. Started in India in 1996, Kenstar is a division of Kitchen Appliances India Limited, a subsidiary of the Videocon group. The corporate motto is “Complete solutions for a complete home,” and Kenstar is well-known in India for its quality design and manufacturing of a variety of home appliances, including water tanks and purifiers. With 28 sales and service offices, it is easy to get in contact with Kenstar representatives for questions or service requests. Although they are fairly new to the purifier market, Kenstar is a reliable brand name. Many purification systems use reverse osmosis, or RO, to filter out impurities in the water. This process desalinates the water, which is a good option for areas with hard water. However, this process also takes away all of the minerals present in the water, even those beneficial to your health. The process can also be slow and require frequent replacement of parts. Kenstar systems use ultraviolet radiation to clean water. This process uses a preliminary filter to remove impurities, and then high-energy UV rays of a particular intensity are targeted at water to dissolve particles. There are various model options using this process offered under the Kenstar brand. The first design released was the Le Pure system. The Penta purification technology, micro carbon block, and SiCo carbon deodorizer ensure clean and tasty drinking water, while the electronic check and auto clean functions make the system convenient and easy to use. In addition to Le Pure, Kenstar offers three more models within the Bio Mineral Series. These include the Bio Mini, Bio Sure, and Bio Pure systems. Each of these models feature an eight-stage purification system and micro PVA prefilter for the cleanest water possible. The design features make these models easy to install and maintain without using boiling water, running water, or even electricity. Purifying at the rate of two liters per hour, the smaller Bio Mini holds 14 liters, while the Sure and Pure each hold 18. Smaller tanks mean they take up less space, but consider the number of people that will be using the water each day. The flow rate will stay fairly constant, so you should be sure you have enough water ready when you need it. One of the benefits of buying Kenstar is the cost; you get a good product for your money and you can keep your costs down. Some users have reported a slight odor when first using the system, but it should go away quickly without additional products. The company promises three free service visits in the first year, should you have any problems. This is a great deal compared to other companies, but there have been mixed reports concerning the quality and punctuality of that service. You may not get a service worker out to work on the product until after the warranty runs out. Since every model is different, be sure to do your research before investing in a home water purification system. Think about the size and weight of the system in the context of where you intend to install it, especially if you plan to move it. Check for global certifications like a WQA Gold Seal mark to ensure the system is safe. The safety and health of you and your family can be greatly affected by the water you drink, and a water purifier is a great way to be proactive in protecting your water supply. hat the product carries a two year warranty, however there is no such warranty on the product or its parts. The main part in the entire equipment is the Ceramic Candle and the 7 layer Cylindrical Filter, however the company doesn’t give any such warranty on these essential spare parts. Also if any of these parts get damaged or doesn’t function properly you are asked to buy a new one, which is either not readily/easily available with them or they deliver you a faulty part not giving any warranty, not even for minimum 15 days, on the new spare part purchased. In this case, even if a customer buys a new spare part and due to any reason, not on account of negligence of the customer, doesn’t function properly or is in damaged condition, the company blames you for the same and doesn’t replace it with a new one, again asking you to purchase from them. Thus, over all this product is a total loss for the customers. Hence i would suggest everyone of my fellow customers not to go for this product in any case. Kindly inform all the customer don’t buy the ken star water filter bcz its increase the TDS. I BOUGHT A WATER PURIFIER 1 YEAR BACK BUT SOME DAYS BEFORE I COMPLAINT ABOUT CHANGING THE CANDLE AND TWO PERSON WAS COME AT MY HOME ALONG WITH THE CANDLE BUT THE PRICE WAS NOT MENTIONED ON CARTOON OF CANDLE AND SEAL OF CARTOON WAS ALSO BROKEN SO KINDLY CHECK IT AND TELL ME ACTUAL PRICE OF CANDLE BECOZ THEY WERE DEMANDING RS 500/. THIS IS NOT THE STNDARD OF THE COMPANY. I bought a water purifier from kenstart, It did not work even for a week time. All my money is wasted. I had purchased kenstar water heater from best price in Dec 2011 I got it installed recently but water is leaking from one inlet. As per terms it comes with warantee. Kindly get it repaired. I bought Zero-B ecoRO model before a year and half. It was working till I made AMC including all spares replacement and electric parts of about 5500/- p.a. There after within 7-8 days the product got failed and not working. After reporting complaints many times to company and authorized service center till after one month the problem is not solved and the machine is still not working after all replacements b service man. Many time service center didn’t reply properly. The company is not ready to replace the product & I’m feeling I spent the cost of 17500/- + 5500/- AMC= 23000/- was wastage within one and half year for a wrong brand and product who doesn’t care of customers.